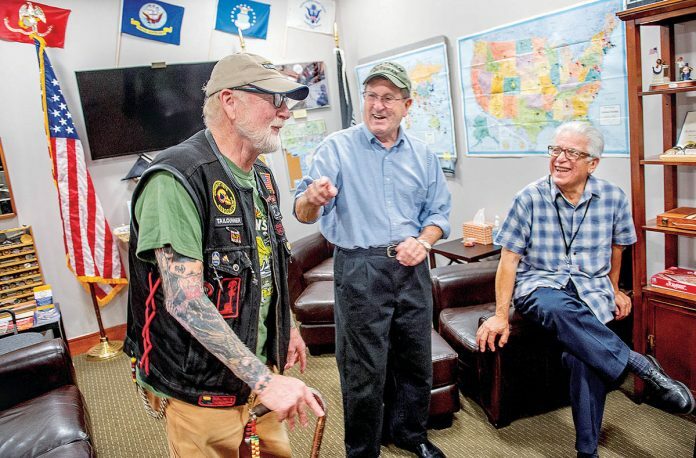 TELLING STORIES: Veterans, from left, Daniel Thurston, Dave Minto and Dan Evangelista talk in the Rhode Island Military Organization lounge at T.F. Green Airport in Warwick. The men were on hand in honor of Vietnam War pilot Lt. Col. Fredric Moore Mellor, shot down over the jungles of North Vietnam, whose remains were brought home last month.